This is what I ended up making with a good portion of that box on the left. The great thing about making a barbecue sauce is that there’s a lot of variability, and a lot of room for you to get creative. Change the type of pepper. Use a different kind of mustard or vinegar. Throw some garlic in there. Explore! I substituted a lot of the heavy ingredients you normally have in barbecue sauce with lighter things, and it’s delicious. 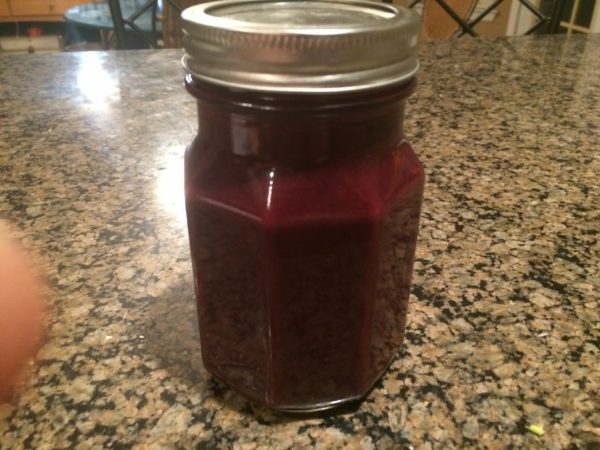 This also works with blackberries, though you will have a bit of a crunch from the blackberry seeds. 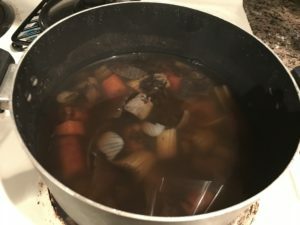 Combine all ingredients in a pot. Cook on medium heat, stirring occasionally, for about 30 minutes. 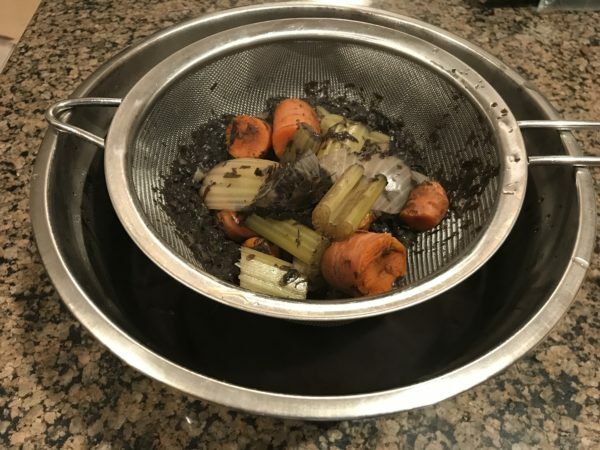 You will feel tempted to stop early, but don’t: the extra time is needed to boil off the moisture and soften the vegetables. Otherwise, you’ll end up with a thin sauce. Store in ceramic jars. Serve with anything!